When Common Threads launched school garden programs in 2009, our efforts grew out of conversations amongst teachers and parents who believed school gardens could be most resilient and best integrated into the fabric of their school communities if they were grown in conversation with each other. 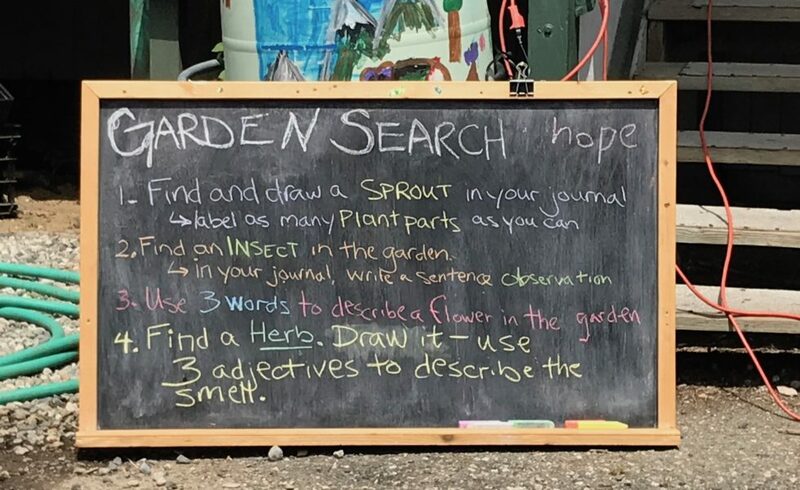 Too often, school garden advocates were re-inventing protocol for garden installations, bumping up against district policies they weren’t aware of, or re-discovering the same curricular resources. 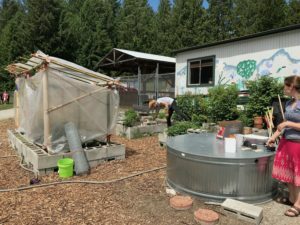 Efforts to build shared standards and best practices for school gardens wouldn’t have been successful without the generous support of teachers, principals, parents and funders like the Whatcom Community Foundation’s Sustainable Whatcom Fund. They also wouldn’t have been successful without the tremendous investment of skill and energy from our AmeriCorps Food Educator team: smart young people who, over the past eight years, have contributed over 61,000 hours of service to teaching kids about gardening and cooking. Recently, conversations about how to best coordinate food education have been burbling up on a statewide level. After months of creative conversations with Concrete Farm to School, Coupeville Farm to School, Lower Columbia School Gardens, Oxbow Farm & Conservation Center, and the Washington Service Corps, we’re pleased to announce that Common Threads is hosting a team of 20 AmeriCorps members for the coming year – some of whom will serve in Bellingham and others of whom will serve at our partner sites across the state. All positions have been filled for 2018-2019. Check back next year if you or someone you know would be a good fit for a year of service! 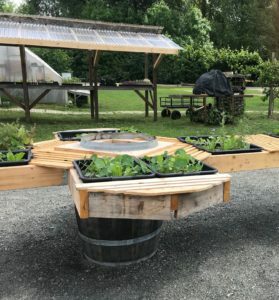 Oxbow’s wheelchair accessible salad table is one example of ideas we might begin to share across the state! Concrete’s school garden is right outside of their fully outfitted kitchen classroom!